This was a typical fall launch at Woodsom Farm - cold in the morning, warming up in the afternoon, variable sun and winds picking up as the day went on. Somewhat normal crowd for this time of year with about 60 people at noon time. Boston U. and U. 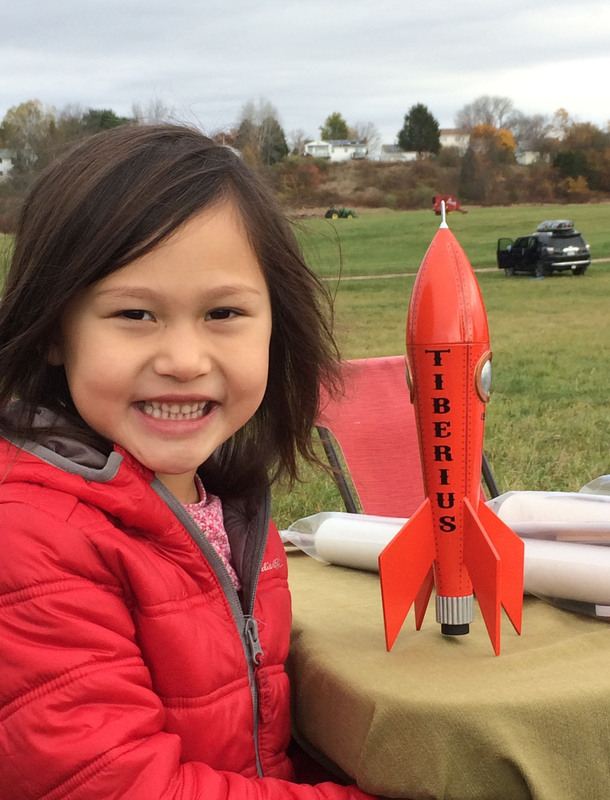 Mass Amherst rocket clubs were in attendance along with an active scout troop (I didn't catch where they were from). Jim Flis (FlisKits) and Robert and Jason from AMW were there also. There were a total of 189 flights ranging from A through I. We had one L1 attempt from the BU team. It was a great flight but unfortunately headed east after deployment. By the end of the day, they had found the rocket high up in tree, but I don't know if they recovered it or not. We did have a higher-than-normal number of lawn darts - I counted 4; at least one Chute Release malfunction, and at least two CATO's (one being mine). Boris was there and pleased the crowd with his two saucers, Hell Boy and his tribute to John Waters (perhaps showing a side of Boris that we didn't know?). There are some pictures in the Gallery - add some more! Our next launch is in Amesbury on Nov 19th. This is our night launch so, bring your lit rockets. It will also be our last launch for the season.